LUCKNOW: Triple talaq in one sitting is an issue of the Sunni community, so Shia clerics and certain Shia organisations should stay out of the matter, proclaimed Maulana Kalbe Jawad, as general secretary of Majlis-e-Ulama-e-Hind, in Lucknow on Monday. 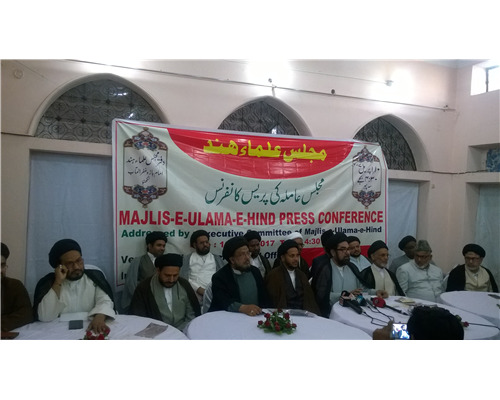 The general body meeting of the national level body of Shia clerics was attended by members from Maharashtra, Gujarat, Bengal, Delhi, Tamil Nadu, Kashmir, Kargil, Lucknow and other parts of Uttar Pradesh. The body said that Shia religious leaders jumping the gun for demand of a strict law against triple talaq in one sitting, should not meddle into the matter of the Sunni community, to whom it concerns. As for the rights of the Sunni women being oppressed under the un-Islamic practice, the body said it was for the Sunni clerics to take notice of the same and resolve the issue. “Those barging in are only doing so for political motives and to create rift a Shia-Sunni rift,” said Jawad. “We have no right to force our opinion on the community when we have no stake in the issue,” he added. For the formulation of a Uniform Civil Code (UCC) that the BJP led central government proposes to bring about, Jawad said that it was not possible to form UCC as even the majority Hindu community has region specific customs and traditions that cannot be looked under one purview. Speaking on the Babri Masjid, Jawad on behalf of the other clerics attending the meet said that it is better if the dispute can be resolved through talks. “But it can only happen through give and take where all sides need to leave something or the other,” he said. With the row over illegal slaughterhouses being shut down in the state, Jawad passed on the responsibility to the former Samajwadi Party (SP) led state government for not renewing licenses on time. “The government which used to claim for being thekedaar of Muslims should be the one responsible for all the chaos and be asked why it never renewed licenses in the last five years. As of the current butchers who are suffering, they should be given some time and a chance for the renewal process,” he said. On being asked about the recently formed ‘Shia Gau Raksha Dal’ formed by Jawad’s cousin, the cleric feigned ignorance and said that criminal activities and hooliganism in the name of cow protection should not be accepted and culprits be booked. He also said that while the Sachhar Committee left Shias out of its report’s recommendations, atleast 205 of the benefits decided for Muslims under the present government, should come to Shias.